Does anyone else’s work day end like this??? 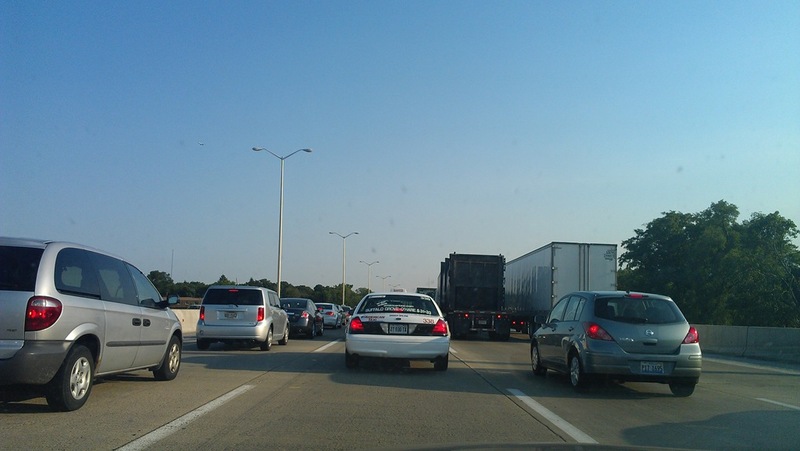 It would be nice to know that I am not the only one who sits in their car, flipping through radio stations, constantly switching lanes in an attempt to go above 8 miles per hour in their post-work day pursuit of home : ) At least in tonight’s case, it was also the end of the work week! Hooray Weekend! The good news tonight was that the BOY was not too far behind me when I finally made it home feeling exhausted after a LONG week at work! I was ready to celebrate the weekend! 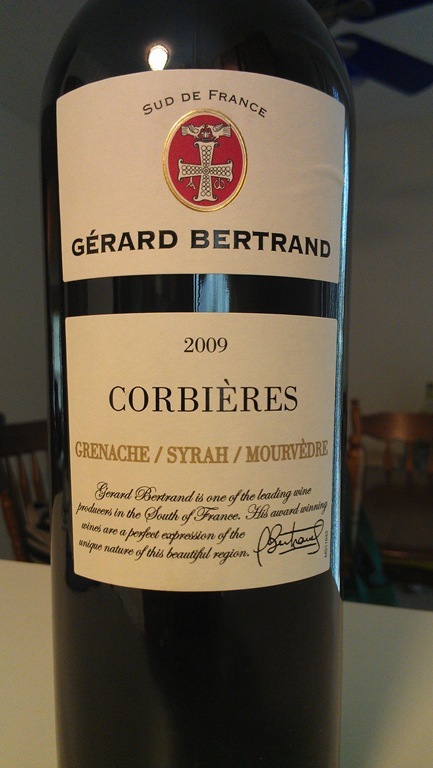 The BOY picked out this affordable wine during our last trip to World Market, and we were both looking forward to trying it. I pulled out our grown up glasses in anticipation of his arrival. And brought out maybe my best batch of Garlic Hummus EVER for a pre-dinner snack! Dinner was simple and thrown together based on what we have in the house. 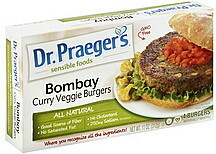 I had some of Dr. Praeger’s newer veggie burgers, the Bombay Veggie Burger, that I found on my most recent trip to Trader Joe’s. Have you tried them yet??? They are incredible. All the healthy deliciousness of your California burgers with a hint of curry. Love it! But probably not as much as I love this new wine! I was so busy this week that I didn’t have time to properly celebrate National Blueberry Muffin Day yesterday. I actually didn’t even know that it was Blueberry Muffin Day until I checked out Renee’s website. You should definitely pop over to to Bendiful and check out her new and updated website. Even though I am a day late, I wanted to share one of my favorite Blueberry Muffin recipes with you. And because it feels like Friday, I feel like I can even stay up past 9pm to finish this post. These Lemon Blueberry Muffins were an early early addition on the Luv What You Do blog. And although this batch turned out blue (note to self…don’t use frozen berries), this is not the norm! They are actually quite tasty and the combination of lemon and blueberry is superb! 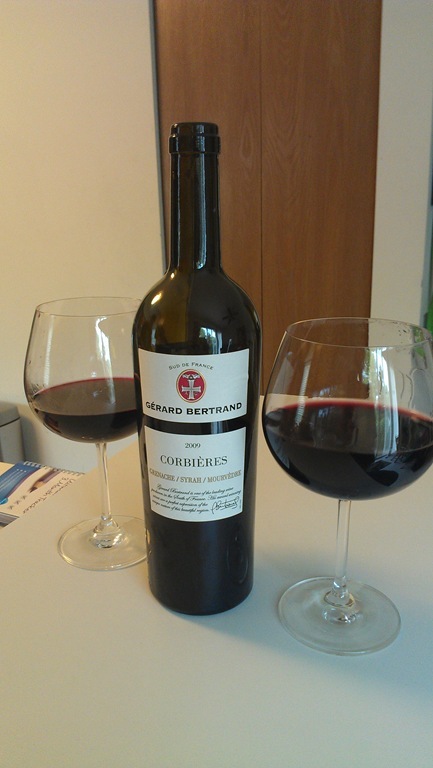 Perfect for a weekend treat! Especially since blueberries are now in season! And if you are a lemon and blueberry fan, you HAVE to try these Blueberry Lemon Cookies from Itty Bitty Bakes! And these Healthy Banana Blueberry Muffins from Baker on the Rise look divine! But if you happen to pick up some zucchini at the farmer’s market this weekend, I recommend this Blueberry Zucchini Bread from My Baking Addiction. Happy Friday Feeling! And Blueberry Muffin Day! -Preheat oven to 350. Coat a 12 cup muffin tin with cooking spray or line with paper baking cups. -In large bowl, beat the sugar and the margarine with a wooden spoon. Stir in the yogurt, blueberries, yellow squash puree, egg, lemon extract, and lemon zest. -Add the flour, flaxseed meal, baking powder, baking soda, and salt. Stir just to combine, but do not over mix-batter is supposed to be lumpy. -Divide the batter amongst the muffin cups. Bake until tops of the muffins are lightly browned and a toothpick comes out clean when inserted in the center, 13 to 16 min. Turn the muffins out onto a rack to cool. -Store in an airtight container at room temperature for up to 2 days, or wrap individually and freeze for up to 1 month. Awww thank you for the shout out! 🙂 Lemon Blueberry sound much better than my boring blueberry. I have to try these out. And Wine is always a good idea. They are fantastic! Give them a try! Of course I can’t take credit for the recipe, it came from my trainer, but I’m always thrilled when she bakes me a batch! Try living in DC, the traffic is horrendous! The muffins look awesome! I have heard that! The BOY just told me that Hawaii is on the top list as well!